We’ve been so busy we forgot to blog. Ok, we didn’t exactly forget. But I promise you it wasn’t my fault. I wanted to blog, I really did. I had topics to blog about and everything. But someone tied me up with a bunch of HDMI cables and left me the stock room and I’ve only just broken free. If you’d just broken free after months of imprisonment in a windowless back room surrounded by media players and stationery supplies, what would be your first course of action? It would probably be the obvious course of action. Well, that’s the course of action I’ve taken. 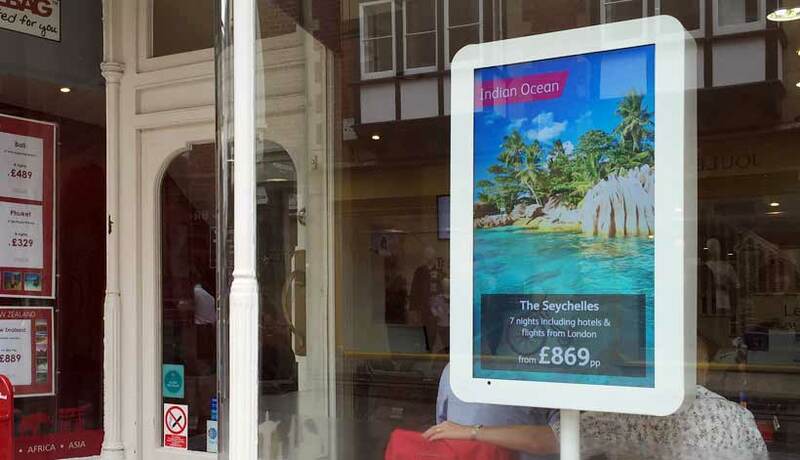 I’ve gotten straight back on the internet to start writing about digital signage. 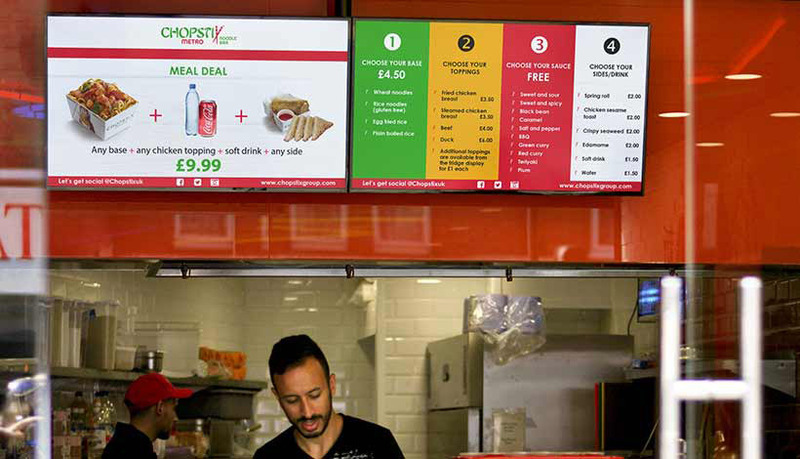 Buying digital signage should be easy, but it’s not. That’s kind of why we exist, if I’m honest. We make it easier for you because we understand your apprehension. You’re over here trying to choose a simple screen and you’re confronted with all these LED-based buzzwords and it just gets more and more confusing, until you find yourself ugly crying on the floor, tangled up in HDMI cables and wishing the digital signage fairy would just buzz along and make the decision for you. Well, today’s your lucky day. 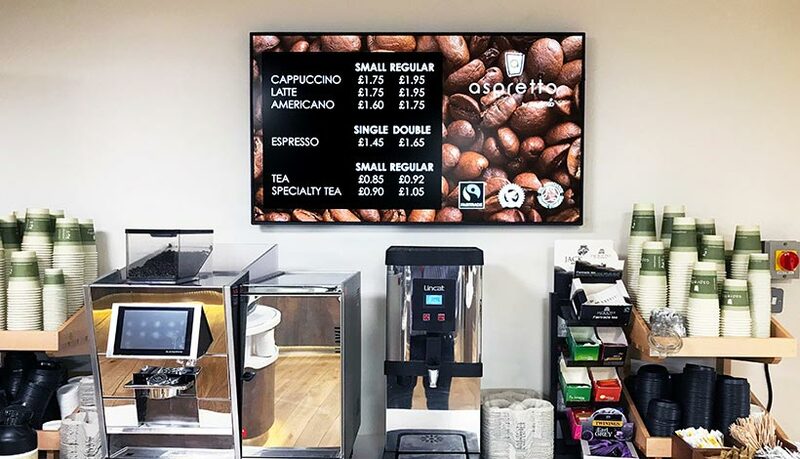 The digital signage fairy is here to buzz her way through buzzwords and marketing jargon and give you some real talk about what kind of digital displays would be best for your business; LED, OLED or QLED. This is the first big decision you need to make once you decide to partake in the digital signage dance off. 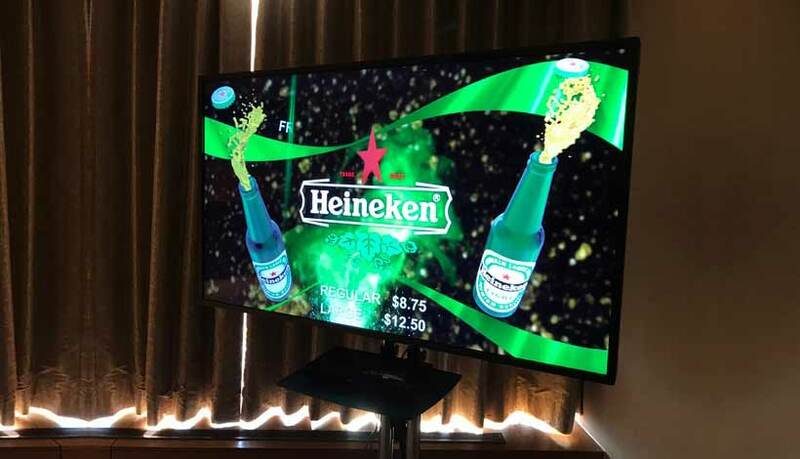 Popular entries in the digital signage dance off include the menu board mambo and the window display waltz, but perhaps you’re looking to trip the light fantastic with a retail screen rumba? 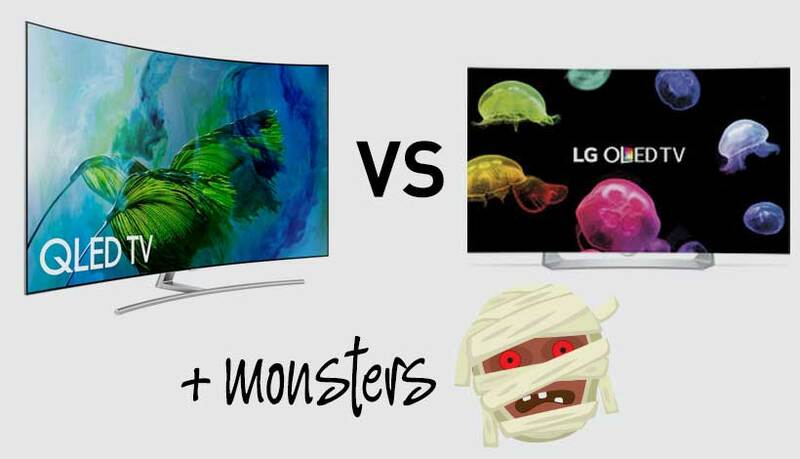 Well, you’ll need to choose between System on Chip and Media Players. What does this even mean? Well, I’m happy you asked. It really helps me pad out this blog post. Most of the screens we deal with are SoC. That stands for System on Chip, which is great because if you sound it out phonetically it sounds like ‘sock’ and socks are great for dancing especially if you have one of those shiny dance floor dealies. You can really slide along like Tom Cruise in that movie with his underwear… Wait, I’ve disappeared on a tangent. Digital signage, SoC, got ya. I’m back. Window signage can be tricky. Even once you’ve sorted your content and you’ve purchased the perfect screens you need to think about installation. All is fine if you’ve got a big wall in your window, it’s easy enough to attach your screen to that and away you go. But how many people actually have a big wall in their window? Some people are nutty enough to actually use their windows to let the light in. And if that’s the case, we still need something to attach your display to, as despite our best efforts the self-contained-levitating-screen isn’t quite ready yet… our best efforts being a daily prayer at the digital signage shrine and a quick dance of devotion. Well, it hasn’t worked yet, so we needed to develop a new fix.